Alexandria, La. 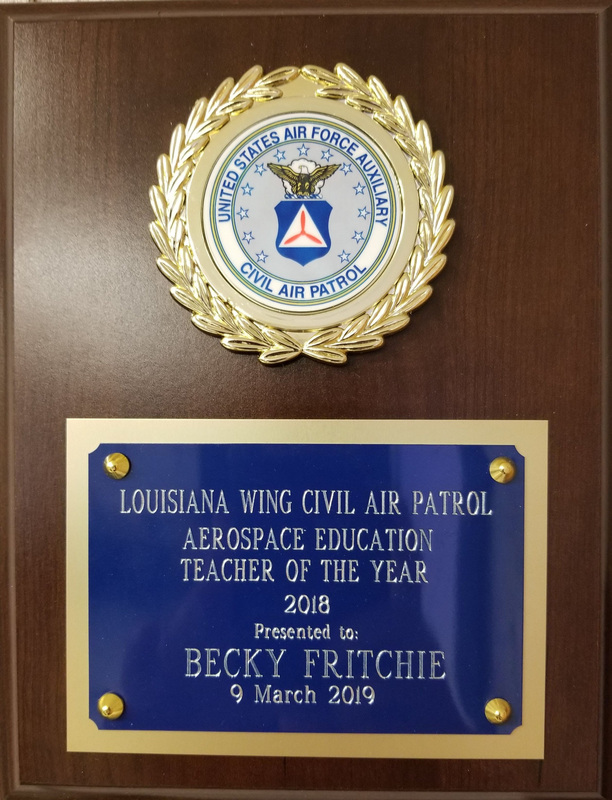 — Ascension Public Schools teacher Becky Fritchie won the prestigious Aerospace Education Teacher of the Year Award for Louisiana, presented by the Civil Air Patrol, the official Auxiliary of the US Air Force. Fritchie, a fifth grade math and science teacher at Spanish Lake Primary (SLP), is now in contention for the Southwest Region version of the award that covers eight states. “What I want in my class is for each student to come in with different goals, but for all to leave as better humans because they had the ‘Fritchie Experience.’ I want them to leave my room with the confidence and conviction to attack new scenarios and apply what they learn to enhance their lives and the lives of others,” said Fritchie, who is a graduate of Louisiana State University. Fritchie does her homework and seeks out new ideas and methods by attending the Space Exploration Educator’s Conference at Johnson Space Center, among others. 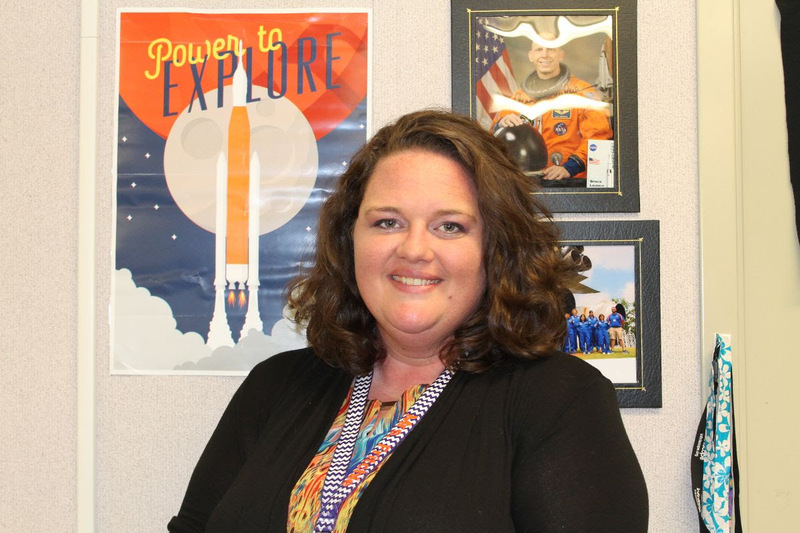 Recently, she was selected, along with a select group of nine incredible STEM educators from across the country, to serve one year as an educator Crew Member for the Space Exploration Educator’s Conference for Space Center Houston, NASA’s official visitor’s center and educator’s resource center in Houston, Texas. “I am proud to call her a colleague and a friend,” said Spencer Kiper, Louisiana’s 2019 Teacher of the Year. “Seeing her grow into a powerhouse STEM educator who advocates for Civil Air Patrol and its mission, as well as an educator who shares the impact of its Aerospace Education efforts is truly inspiring. ABOUT CIVIL AIR PATROL: Civil Air Patrol, the longtime all-volunteer U.S. Air Force auxiliary, is the newest member of the Air Force’s Total Force. In this role, CAP operates a fleet of 560 aircraft, performs about 90 percent of continental U.S. inlad search and rescue missions as tasked by the Air Force Rescue Coordination Center and is credited by the AFRCC with saving an average of 80 lives annually. CAP’s 61,000 members also perform homeland security, disaster relief and drug interdiction missions at the request of federal, state and local agencies. In addition, CAP plays a leading role in aerospace/STEM education, and its members serve as mentors to over 26,000 young people participating in CAP’s Cadet Programs.